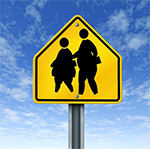 "Obesity is a major unrecognized contributor to the nation's cancer toll. As many as one in three cancer deaths today are related to obesity, poor nutrition or physical inactivity. "As the nation's cancer doctors, we are very concerned that over the next 10 years, obesity is predicted to replace tobacco as the leading preventable cause of cancer. One of our most powerful cancer prevention tools is maintaining a healthy weight beginning in childhood. We need to instill healthy habits from the start so kids can reap the lifelong health benefits, including a lower risk of cancer. "This is why ASCO has joined with the American College of Sports Medicine and other leading health organizations to help raise awareness during National Childhood Obesity Awareness Month. "Reducing the impact of obesity on cancer and chronic illnesses will not be easy, but we must pursue every avenue possible to help Americans of all ages reach and maintain a healthy weight. ASCO is committed to helping achieve this goal. We will be working to build awareness, advocate for research, and increase access to obesity prevention and care resources. As physicians, we must also lead by example and take every opportunity to offer patients education and support to achieve and maintain a healthy weight." Today, as many as 23 million children and teens are obese or overweight. It is estimated that more than one-third of U.S. adults (more than 72 million people) are obese. In 2012, an estimated 1 in 3 cancer deaths (roughly 191,000) were related to obesity, poor nutrition or physical inactivity. By 2030, 400,000 new obesity-related cancer cases are projected annually. Yet, a 2013 survey reported that less than 1 in 10 Americans (7%) realize obesity is a risk factor for cancer. Obesity is linked to increased risk of many cancers - including endometrial, colorectal, esophageal, kidney, pancreatic and certain breast cancers. For people with cancer, obesity often makes treatment more difficult. Patients face higher risk of recurrence, long-term side effects and treatment-related complications. Survival is also lower among obese patients, compared to those with a healthy weight. In men, obesity increased the risk of dying from all cancers by 52 percent, but nearly doubled the risk of dying in women, according to one recent study. For further information about the link between cancer and obesity, see this link on ASCO's physician-approved website for patients, Cancer.Net. For more information about Childhood Obesity Awareness month, visit www.coam-month.org.